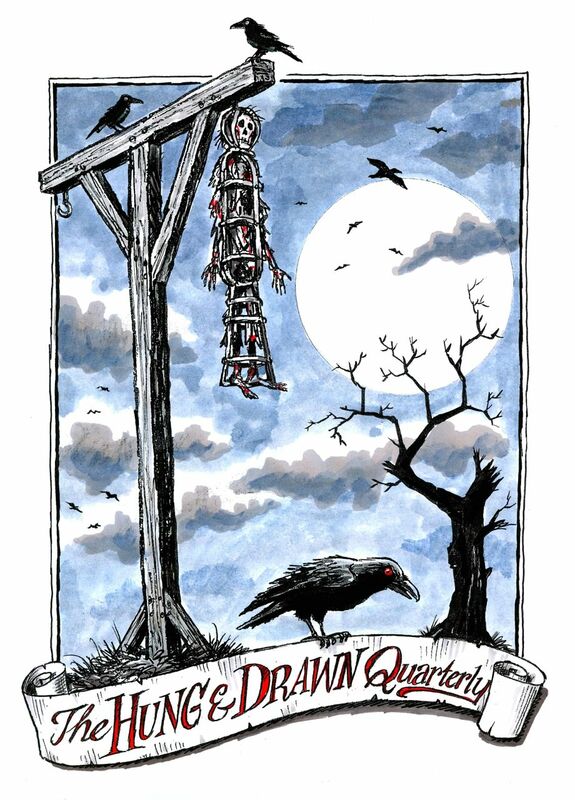 I’m very excited to announce the launch of The Hung & Drawn Quarterly on Grave Matters! Illustrated by Adrian Teal, this comic follows Chris Skaife, Ravenmaster at the Tower of London, and myself on grisly adventures through history, documenting four terrible tales from each century. Beginning in the fifteenth with the execution of the Duke of Clarence, the series takes a humorous look at the dark history of crime and punishment. Adrian, Chris and I don’t get paid for the content we offer on Grave Matters. If you would like to support our work, we now have an online shop where you can purchase artwork from The Hung & Drawn Quarterly (signed/unsigned), or make a donation to receive a laminated bookmark. We really appreciate any support you can give us on this new endeavor. So without further ado, please click here to read the first in our grisly series! We hope you like it! They are not called comics anymore, but linear, graphic novels.